Poor digestion is the pits. We’ve all been there. A lot of dogs are suffering from it these days. Your life will be considerably less messy & fragrant, shall we say, if your dog is processing foods well. And digestive weakness can be a key factor in all sorts of canine health issues so it’s best to nip it in the bud now. 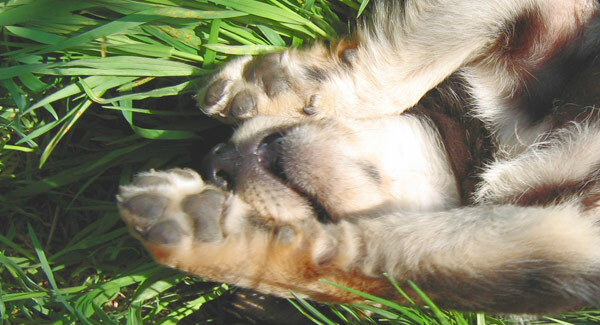 Our Canine Naturopath contributor Lyndall Pinchen gives us some advice to get started. GENERAL DIGESTIVE WEAKNESS is becoming more common in our dogs and I believe much of this has to do with poor diet, chemicals in the environment, lifestyle factors and poor breeding. Bloating, flatulence, mucousy stools, mild constipation or diarrhoea, weight loss and ‘fussy’ eaters, along with ‘pica’ (eating substances other than food including poo!) are all symptoms of digestive weakness and dysbiosis where the balance of good versus ‘bad’ bacteria has become upset. This can lead not only to digestive problems , but also more systemic issues including skin conditions/allergies. Aside from making appropriate dietary modification where required, herbs are a wonderful way to help support and treat such weaknesses. Herbs can help to improve digestive secretions, reduce inflammation and spasms, improve liver and gall bladder function, heal the gut mucosa and act as antibacterial or antiparasitic agents if needed. Marshmallow root and Slippery elm– both these soothe and coat the intestinal tract, minimizing the absorption of toxins. These herbs also help to heal damage, reducing further permeability of the mucosal tissue. Ginger has antispasmodic and anti-inflammatory properties and is very calming on the gut. Liquorice root is mildly laxative but also has amazing healing properties and is very much ‘antiulcerogenic’ in its action (helps heal and prevent ulcers). Golden seal is an excellent herb to tone the intestinal mucosa but it is also a natural antibiotic so it is helpful if there are any nasties in the gut causing infection. Herbs such as Dandelion, Gentian and Barberry are bitters and help support liver and gall bladder function and can be beneficial (especially Gentian) if there is low appetite. The beauty of using herbs is that that they have many actions and work to support the body as a whole as well as targeting specific organs and systems. Herbs such as these can be combined into a ‘tonic’ and drops added into food. I like to keep a dog on them for at least 3 months, changing the formula if needed especially if it is a long term problem as this will help get the most benefit out of them. *Feed a diet that is biologically designed for dogs to eat ie: a raw diet based predominantly around raw bones, meats, offal and small amounts of plant matter (veggies). A diet such as this provides living enzymes that aid digestion. Dogs to not produce large amount of digestive enzymes themselves and rely therefore on foods to provide these enzymes. If your dog is consuming a diet based predominantly on commercial processed foods, they will not be getting sufficient enzymes which can lead to problems over time. *If you are transitioning your dog (especially if a senior) over to a raw diet, add in some digestive enzymes to assist in this process. This helps the digestive system to cope with the change. A good quality dairy free probiotic can also be helpful here. Enzymes can be sprinkled over food while the probiotic is best given on an empty stomach in the morning. *Avoid GRAINS as these are very difficult for dogs to digest and they have no dietary requirement for them. *Consider doing a gentle liver detox ( I like to use herbs for this) twice a year to help the liver function more efficiently which in turn takes stress off the rest of the digestive organs. Using a herb like Milk thistle is a simple way to do this. *Add some slow cooked bone broth into the diet of dogs that have known digestive weakness as the nutrients in this are very soothing and healing to the gut and are easily absorbed. Feel free to contact me for my recipe. For chronic digestive problems, it is best to contact an holistic practitioner to have your dog properly assessed so that appropriate treatment can be prescribed. 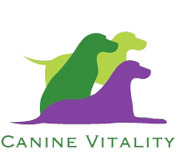 Have any specific canine health topics you’re interested in? Just let me know and we might be able to get some naturopathic insight into them. All the best to your pack! What does gut health mean for your dog? May 27, 2014 | Filed under Canine Health, Uncategorized.